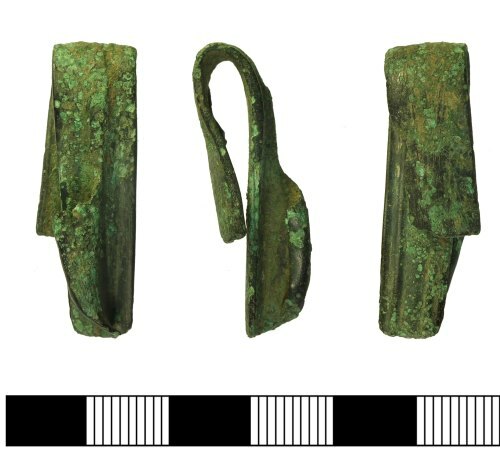 A fragment of a copper alloy Roman brooch comprising the catchplate, foot and part of the bow, which is bent back on itself. The bow is flat, 9.5mm wide, and decorated with parallel moulded lines. Possibly from a Langton Down or Aucissa derivative type brooch and Circa 1st century AD. Cf examples in Hattatt (2000), p306 and 319.